Ever heard of ELW? 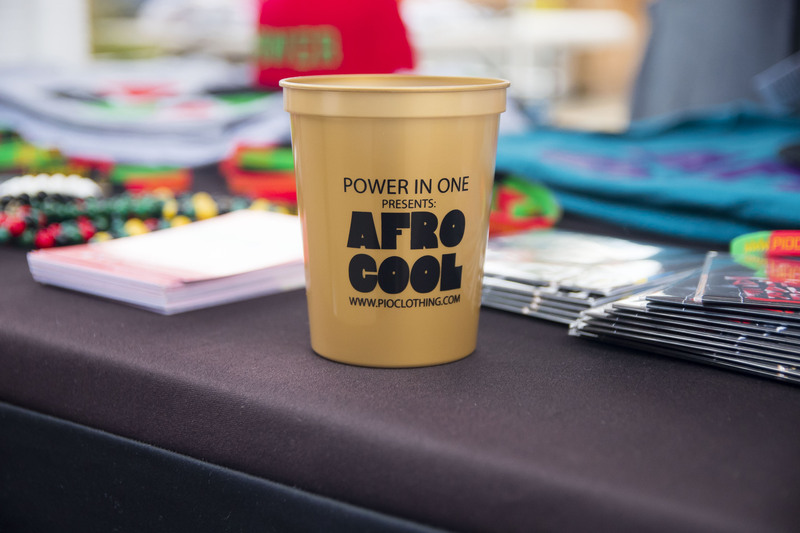 It stands for Empowering Lifestyles Weekend and is a weekend collective of events created to implement empowering experiences. 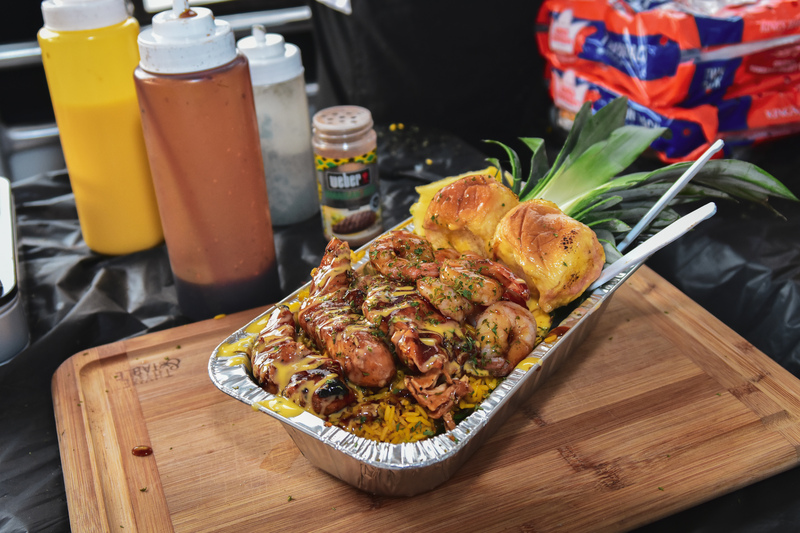 From a 5K race, to an all white yacht party, to a music and dance filled PIO hosted mini festival, this weekend is jam packed with fun and good vibes. It has been hosted in Charlotte, NC for the past seven years. This year, ELW took place from July 20-July 22. 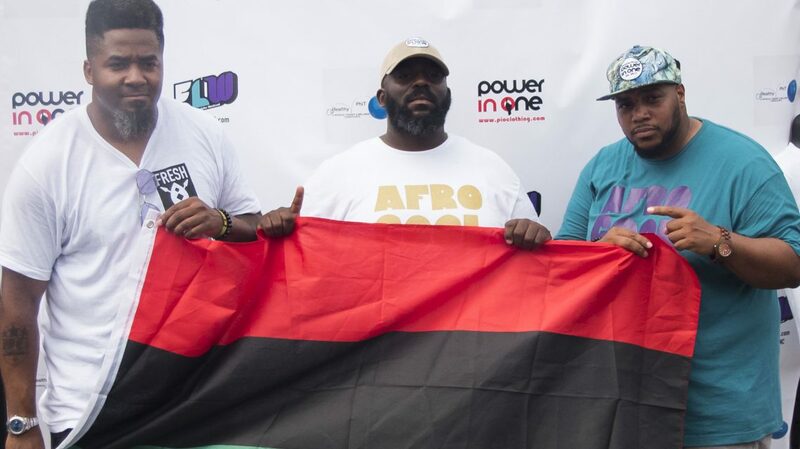 Atuya Cornwell, Kerrick Faulkner, and Ryan Lucas, the founding managing partners of Power in One (PIO) played pivotal roles in making this weekend a success. With regards to ELW specifically, Atuya is a founding organizer and co-chair of the 2018 ELW planning committee. He and Kerrick reign from Charlotte which made this weekend a chance to empower their local community while giving others not from there a taste of what Charlotte has to offer. On Friday, the ELW team hosted the 5K race packet pick up at a Salsarita’s Fresh Mexican Grill. This kicked off the weekend with an opportunity for race participants to pick up their packets early and for potential participants to sign up and a plethora of people did. The packet came with a snack, some discount cards, and a mini award congratulating them on participating. All proceeds from participant registrations were donated to benefit local Charlotte service organizations. Attendees could also register the morning of the race if not done so in advance. On Saturday morning, the 5K had four divisions to run/walk under: senior, men’s, women’s, and children’s with an opportunity to win 1st, 2nd, and 3rd place for each. It was a stunning Saturday morning at Mallard Creek Greenway despite the summer humidity. During the run, a Healthy Phit and Wellness Expo was going on, featuring vendors selling complementary fitness products and services including Power in One. The race started at 7 am and there was also a dance break with a local dancer leading all interested participants to the live dj. It was a nice family friendly event that continued in the spirit of the weekend with empowering a healthy and fit lifestyle for the local community. For more on ELW visit www.elwcqc.com. After the race ended, it was time to prep for the All White Yacht party that night. The fun began with a happy hour mixer at the DoubleTree Hotel in downtown Charlotte. Those meeting at the hotel would venture to the yacht on Lake Norman on a shuttle bus. Those not meeting at the hotel but still needed a ride would catch another shuttle from a restaurant nearby the lake. As guests arrived to the yacht there was a bar and some noteworthy food from the restaurant group When You Gon’ Cook For Me. Their teriyaki chicken and shrimp over jollof rice in pineapple bowls set a tropical mood to this aquatic voyage. There was a great DJ, a dance floor, drinks, and a fashion show. The fashion show displayed traditional african-printed modern-silhouetted mens & womenswear multi-functional designs by Olive with her brand Elegance by Olive. From swimwear to creative cover-ups and matching two piece looks for men her collection which was also for sale alongside some accessories pushed the mood and tone of the yacht party. 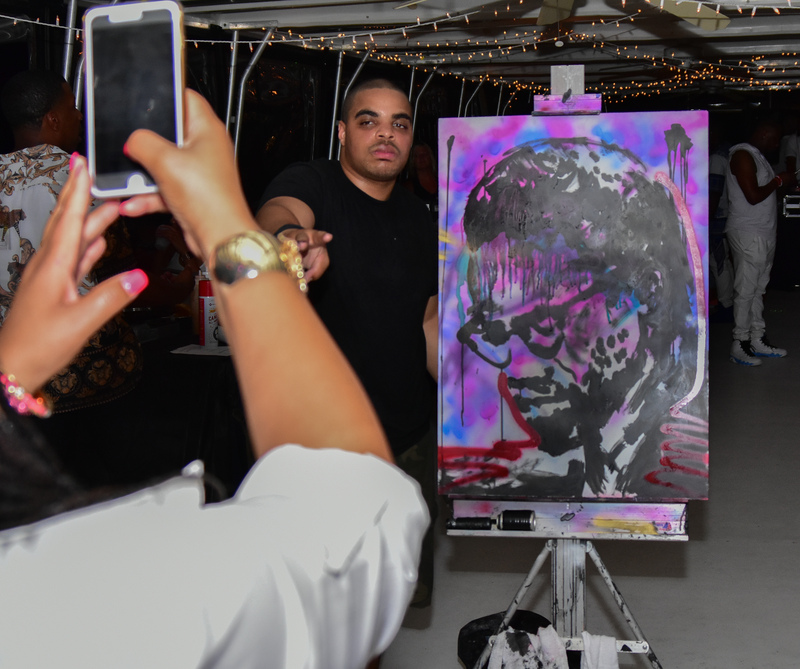 This was the 8th annual yacht party which was also graced with an artistic performance by Kolpeace whom I consider to be alot like Kandinsky with intention as he allows music to dictate the his brush strokes as he creates portraits of empowering people. 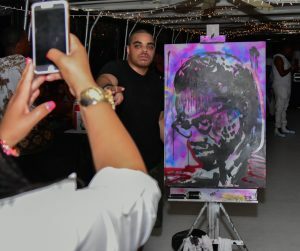 On the yacht he created a portrait of Malcolm X. His multi-media technique of acrylic paints, spray paints, and fire make his creation exciting to view during the process and after. His work is such a marvel. 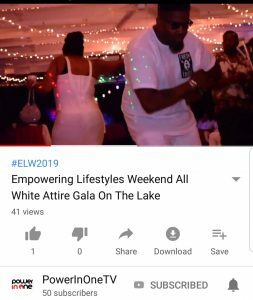 This component of ELW also consisted of a few awards honoring locals in the community that emulate empowerment through their services, products and more. The evening was featured in the July 2018 Edition of Muuves Digital Magazine, view here. Check out the full Gala experience here! Ryan Lucas performs tracks from his latest album, A Tribe Called Fresh! fruit salad. There was also complimentary cake/cup cakes and performances. 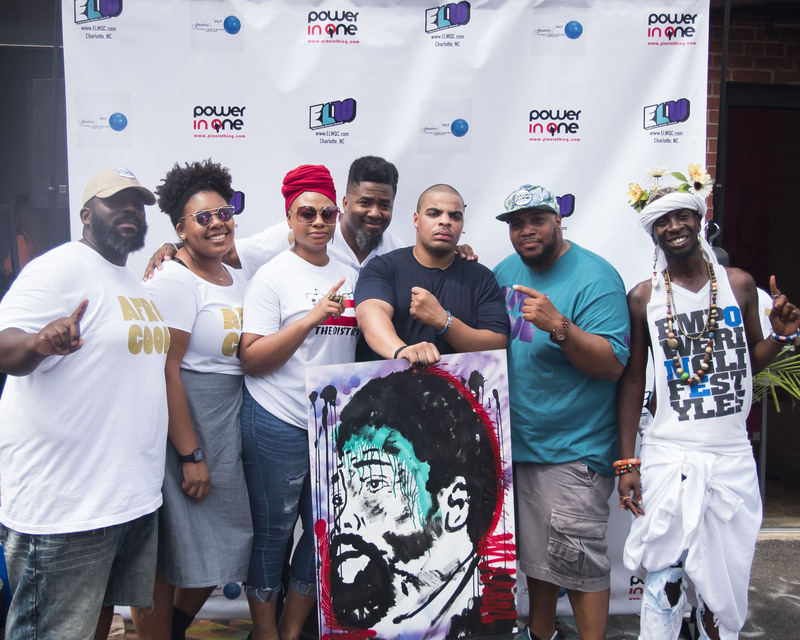 The musical performances included PIO’s own Ryan Lucas with his drummer D2, Letasia, Charlotte’s own Indigo Jo and duo Leesha Baby & Dee Dray. There was a dance performance by the Reliable Brothers a dancing twin duo who also teach local dance classes. There was another amazing performance by Kolpeace and it closed with an interactive dance performance by Alejaibra. 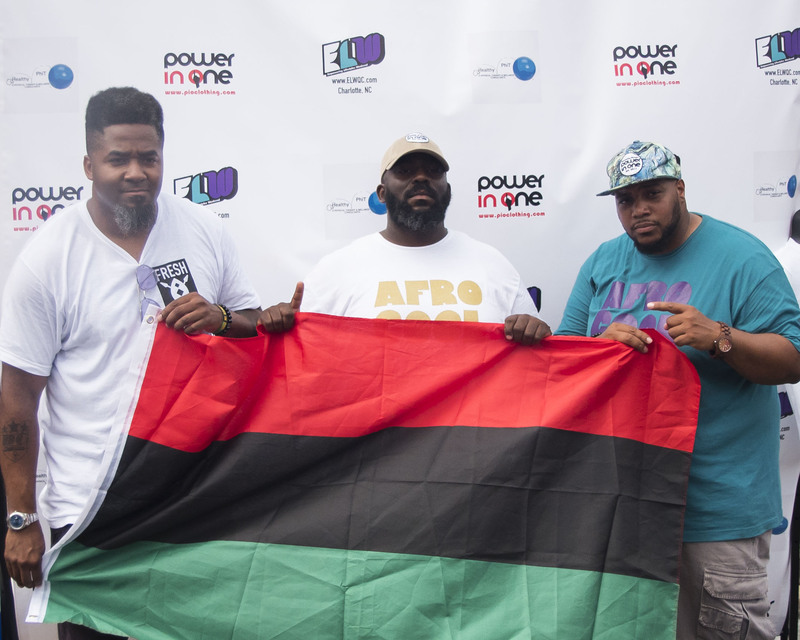 The whole event was kept lively with DJ Steel Wheel’s hip-hop, afrobeats, and soca sounds. 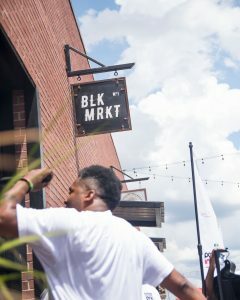 The vendors included PIO, Elegance by Ollive, and hand crafted accessories from Issa Vibe Adventures and Anahi Naturals. The Afro Cool fest was a small event but it was inspiring, positive, and uplifting. It was a great way to end the empowering lifestyles weekend. To find out about when to catch the next ELW weekend go to www.elwqc.com . To catch more glimpses of what the weekend entailed be sure to check out the PIO instagram page @powerinone. 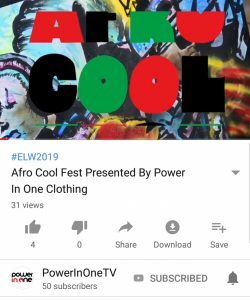 We hope to see you at a future Afro Cool Fest and at the next ELW weekend. Stay connected, stay at peace, and stay empowered. 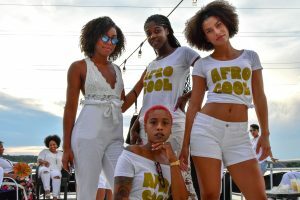 A few pictures from Afro Cool Fest are below, however, make sure you check out the full album here! Check out video recaps below!